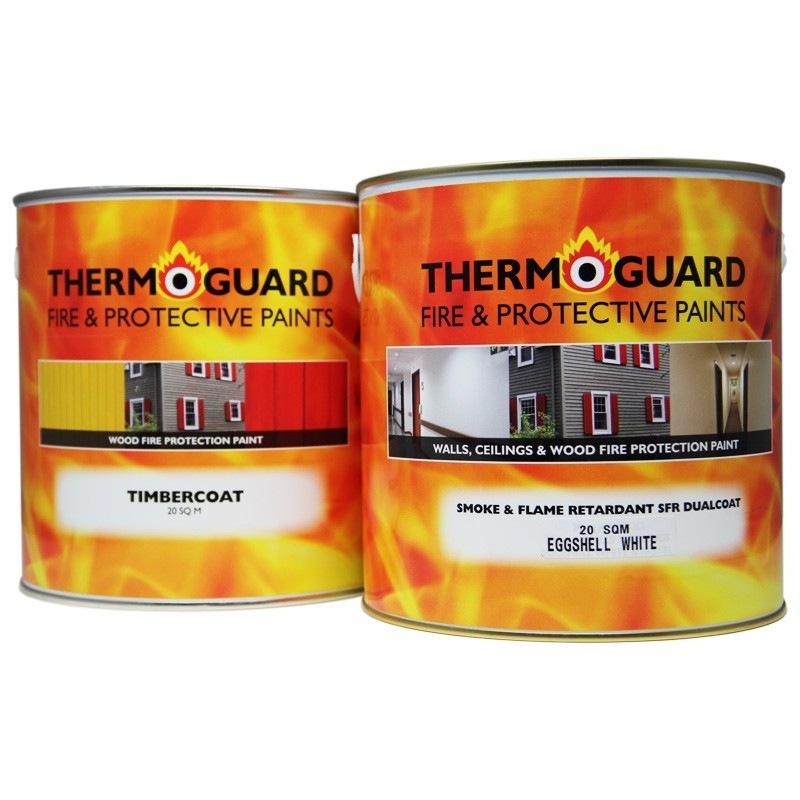 Thermoguard Timbercoat BS Class 1/0 & EN Class B System is a coloured fire retardant paint system for interior and exterior timber surfaces. These packs have been created to help users ensure they are purchasing sufficient product for their project. 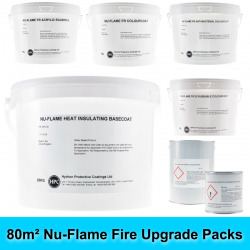 Each pack contains the correct amount of basecoat (Timbercoat) and topcoat (Smoke & Flame Retardant Dualcoat) to ensure protection is achieved inline with the manufacturers recommendations to the respective area in question. *Apply 2 coats of Thermoguard Smoke & Flame Retardant Dualcoat for external, damp or high wear areas - Purchase 'Exterior Spec.' packs for this use. 2 coats may also be required for strong/dark colours - To aid topcoat opacity Thermoguard Timbercoat can be tinted to undercoat shades if required at no extra cost - please call if required. 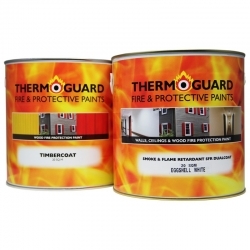 For 30 & 60 minute protection please see Thermoguard Timbercoat 30 & 60 Minute Protection System Packs. Unknown coatings or old fire coatings – contact our Technical Department on 0113 2455450. Question: Can you use the fire protective paint on treated timber. Any pre-treatment should be free from wax or silicones. If caustic / high pH treatments used, neutralise wood pH before applying coatings. Ensure damp & fluid from wood treatment saturation fully dry out. Remove any loose surface deposits. If treatment left wood coated, contact our Technical Department with product information for further advice.